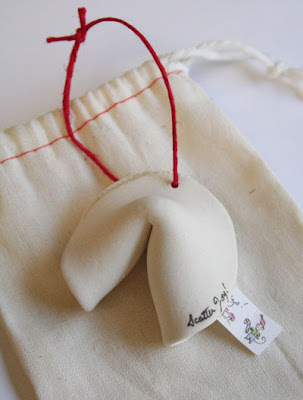 My dear friend, Rae Dunn, made small ceramic fortune cookies this year--I wrote scatter joy on some of them with drawings of holiday mice as the fortunes. I wanted to give the team here a hopeful keepsake for the new year. On Friday I walked by Barneys new windows and noticed they are chock full of fortune cookies spelling out Happy New Decade. Good Fortune is in the air.